Since the Gold Rush of 1849, California has been the destination of dreamers. Today, San Francisco draws young and energetic entrepreneurs from all over the world. They come with big dreams of starting their own tech companies or building the next big app that will change the world with one (or two) clicks. Techies are not the only ones with dreams. The people we serve at Mission Asset Fund (MAF) — low-income Latino immigrants across California’s Bay Area — have dreams too. They dream of good jobs, of homeownership, of safe neighborhoods with vibrant schools. They dream of providing their families with a better life — the American Dream that still beckons and inspires millions to work hard and overcome seemingly insurmountable obstacles. But these goals often feel out of reach for our clients, who are marginalized by a lack of access to safe, affordable financial products. Our clients face daunting economic challenges. As low-wage and hourly workers, they struggle to make ends meet. Most live day to day, without the benefit of savings, affordable credit, or other financial tools to manage unexpected expenses, much less a life crisis. They forgo public assistance programs owing to concerns over immigration status or confusion about eligibility. As a result, families in need go without, suffering in the shadows. Credit reports are like passports — they are the documents required to enter the financial mainstream. Without them, it is nearly impossible to access safe, responsible loans. Consequently, people who are credit invisible are denied the capital necessary to realize their full economic potential. They cannot get a loan to purchase a car to get to and from work or seed capital to start a small business. A person who lacks a credit history may even be denied the opportunity to rent an apartment or interview for certain jobs. We launched MAF in 2007 to help low-income immigrants in San Francisco improve their financial security. At the time, an implicit assumption underlying most social policy was that low-income people are poor because they are somehow unsophisticated or otherwise deficient, lazy, or just doing everything wrong. We rejected this “deficit-based model” because it robs people of both agency and dignity. Instead, we built “strength-based” programs by meeting people where they are, and building on what is good in their lives. Rather than starting from a stereotype, we engaged them to help us understand their financial lives better and identify existing assets and opportunities to expand on. Through those early conversations, we learned that despite few bank accounts or a steady income, many families were nonetheless lending money to one another in small, informal groups. Ten people, for example, would form a group and agree to each contribute $100 per month for 10 months. Each month, a different member would receive $1,000 from the group until everyone got a turn. 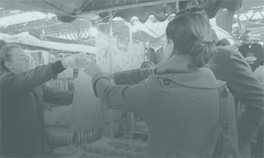 Peer-to-peer lending like this is common throughout the world. When people do not have access to financial institutions, they often turn to one another for help. These small group loans are called tandas and cundinas in Mexico, paluwagan in the Philippines, and susus throughout the Caribbean. Many immigrants in the United States continue this cultural practice, looking to each other to come up with funds for everything from paying rent, to starting a business, to saving income on the upswings. Despite their prevalence, these social loans remain informal and invisible to financial institutions; they are not recorded, nor reported to the credit bureaus. Consequently, they do little to help build or strengthen the formal financial profiles of those who participate. At MAF, we considered these social loans an example of something that is both beneficial to, and already deeply integrated in, our clients’ lives. The loans are critical opportunities for many low-income immigrants, and are assets that can be leveraged to further improve their financial footing. These social loans became the foundation of our emerging “strength-based model.” We knew we needed to bring the practice out of the shadows and into the economic mainstream by reporting the repayment histories to the major credit bureaus. The desire to formalize these informal loans led to the creation of MAF’s Lending Circles. Lending Circles transforms the informal group savings and lending practice by requiring participants to open checking accounts and to sign promissory notes, enabling MAF to service loans and report activity to the major credit bureaus. This made the loans visible to the modern banking system. In this way, Lending Circles empowers participants to help one another and opens doors of opportunity by building credit. For individuals without credit scores, Lending Circles helps them establish one. For those with damaged scores, Lending Circles gives them a fighting chance to refinance their debt and rebuild their financial lives. With higher credit scores, participants move away from subprime credit and begin leveraging affordable credit to eliminate high-cost debt, start successful businesses, buy homes, save for college, and build financial stability. While we have our clients’ full attention, we provide financial education to help them navigate the financial marketplace. They build community and financial confidence by gaining experience and knowledge together; they lead, share, and learn from one another. They also take pride in knowing that their loan payments help other participants reach their financial goals, too. They know they are not alone and that their money matters in the lives of other people just like them. 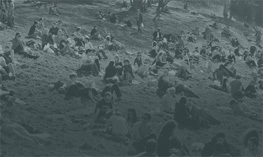 In 2013, the Cesar Chavez Institute (CCI) at San Francisco State University released findings from a two-year evaluation of Lending Circles. On average, program participants’ credit scores increased 168 points; those who started without a credit score averaged a score of 600 after completing a Lending Circle. Within 10 months, 69 percent of participants who were credit invisible successfully established a credit score. In contrast, only 13 percent of the control group achieved this result on their own. The CCI report proved that we were helping clients build credit and reduce debt, opening them to opportunities in the financial marketplace. But did we help them improve their financial lives overall?5 Did they achieve financial security? The evaluation did not answer these questions, in large part because we did not have a clear definition of financial security, much less a model for how to measure it. Typically, income or credit scores are considered proxies for a person’s financial status. But these common metrics are inadequate for assessing a person’s full financial life. Knowing a person’s income alone does not say much about his or her expenses, debts or net worth, especially when income is so volatile.6 (For a deeper discussion, see the essays by Boshara and Tescher and Schneider in this volume.) Although credit scores predict the probability that a borrower will repay a debt, they tell us little about a borrower’s ability to repay. What will it take for a borrower to repay that loan? Will that borrower need a second loan to pay off the first? If so, do they have the ability to repay that initial loan? We did not have a functional framework to understand the complexities of people’s formal financial lives, much less what they do informally. Therefore, the question remained, how could we tell if we were improving our clients’ financial security? 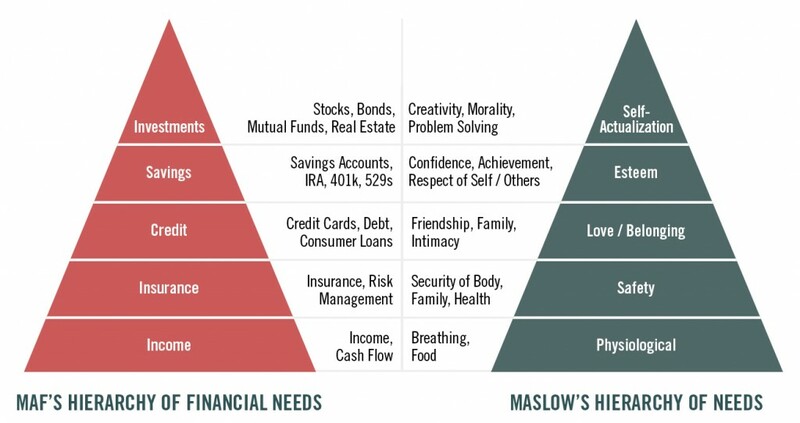 For answers, we turned to Abraham Maslow. Maslow’s hierarchy of needs explains what people need to realize their true potential. 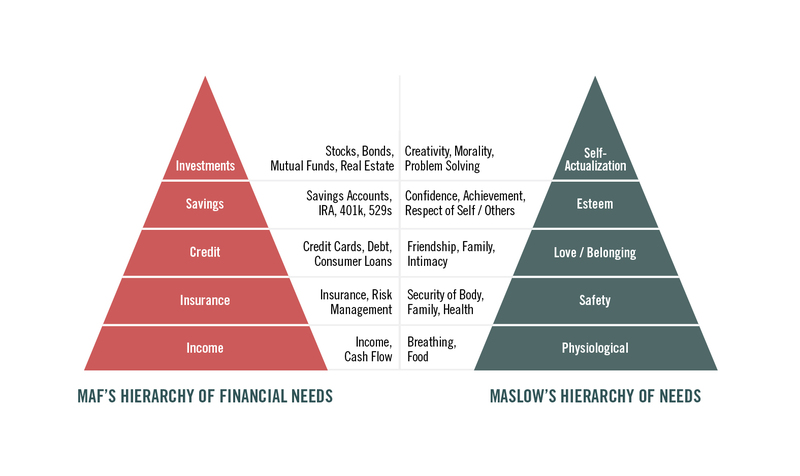 In his seminal work from 1943, Maslow organized human need into five levels, ordered from the most basic (health and well-being) to the most complex (self-actualization), with each level facilitating the satisfaction of the subsequent, higher-order need.7 Using the same logic, MAF developed the “Hierarchy of Financial Needs” (HFN) to explain what people need to realize their true economic potential (Figure 1). The question then becomes, how do people meet their financial needs? What tools do they use to reach and maintain a sense of financial security? This is where substantial differences emerge across income and demographic groups. High-income individuals manage their financial needs by using financial products in the marketplace, and significantly benefit from tax policies that create incentives to borrow and invest. Indeed, they have entire industries, such as wealth managers and tax advisors, ready to help them manage their wealth. At MAF, we see low-income Latinos manage their financial needs differently. They combine incomes to meet household budgets and participate in informal practices like hometown associations that pool resources to insure against costs like funerals, or tandas to save and borrow from peers. We also see them invest time and energy with family and community to build social capital, the relationships they lean on during difficult times. When they can, they access financial products such as bank accounts to secure their cash or credit cards to leverage resources. When available, they combine public support programs such as the Supplemental Nutrition Assistance Program or the Earned Income Tax Credit to supplement their income to manage their financial obligations. The way Latinos in the financial shadows manage their financial needs is complicated, to say the least. Instead of dismissing what they do, we are learning from their savvy strategies for mixing and matching informal practices, financial products, and government programs to create a sense of financial security. The nonprofit sector, financial services industry, and policymakers can learn from their innovative strategies. We took a page from our clients’ playbook by collaborating with our peers — other nonprofits — to achieve what we cannot achieve alone. MAF is building a nationwide network of nonprofit partners to deploy the model broadly. These trusted organizations in ethnically diverse communities have established relationships and a deep understanding of their clients’ needs. In 2014, California Governor Brown signed Senate Bill 896, a law that provides exempt status from the state’s lender license laws to nonprofit organizations that provide zero-interest, credit-building loans. 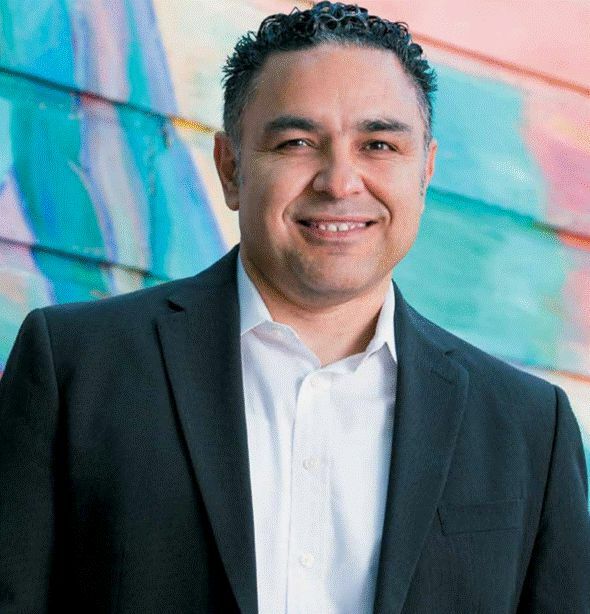 California now recognizes credit building as a force for good, and calls on nonprofits to innovate in the field and provide meaningful financial services to low-income communities. In the same way our own work is influenced by our clients, we believe the financial services and nonprofit sectors can also learn from them. It is clear that social relationships are extremely important to low-income consumers, who rely on them in the absence of other assets. Yet today’s financial marketplace is transitioning online, away from storefronts and face-to-face interactions. As online banking becomes more mainstream, low-income consumers risk losing access to the tellers and bank representatives who help them navigate a potentially confusing financial system. Such shifting industry trends create significant opportunities for financial services providers and nonprofits to partner to ensure low-income consumers can access the affordable financial services that are critical to economic security and mobility. 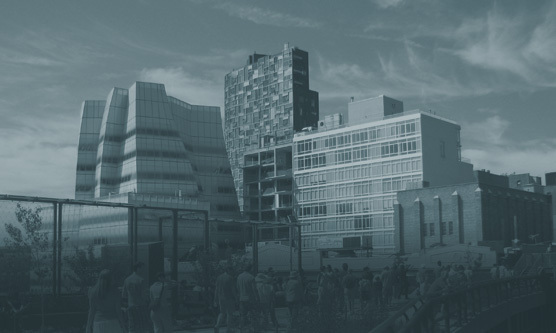 Nonprofits can build on their community relationships to serve as trusted financial advisors to communities in need, to help them navigate through the mainstream financial system in the absence of storefronts. Nonprofits have the capacity to provide such services, and the mission to do so. In turn, financial institutions can invest in nonprofits to ensure the organizations have the necessary resources and capacity to effectively serve as financial advisors and to provide many of the needed financial services. Policy makers can also take a page from our clients’ playbook — that of combining benefits to make ends meet. The fact is that low-wage workers are not earning enough income and have to rely on public benefit programs like SNAP or EITC to balance their budgets. Yet many public benefit programs have barriers built in, preventing working poor families from getting assistance. Asset limits, for example, prevent working families from accessing benefits if they have modest savings. Such policies have unintended but significant consequences of keeping people in perpetual financial insecurity. Policymakers should remove eligibility barriers like asset limits, and design programs for success by improving user experience and accessibility. Although most Americans have a clear and set path to realize their dreams, millions of low-income people are trapped by systemic barriers and pitfalls that diminish their economic potential. The Consumer Financial Protection Bureau is policing the financial marketplace, going after bad actors and eliminating predatory products that trap people in vicious cycles of debt. But helping low-income people improve their financial situation also requires direct and positive interventions to address their diverse and complicated financial needs. This is not a simple task, nor a one-time, one-year project. For many people, finding their financial footing may well be a multigenerational effort. No one financial product, one federal program, or even an app with one (or two) clicks can bring financial security to Latinos in the financial shadows, much less to all poor Americans. Instead, it will take many solutions, more research, and a deeper understanding of how the financial ecosystem works from the consumer’s perspective. Rather than relying on only tech startups or banks to create new products, it will take funding that encourages cross-sector innovations. It will also take a fundamental paradigm shift in social policy away from a model that engages clients as if they are broken to one that recognizes and uplifts their strengths. We cannot build an inclusive financial system based on distorted views of low-income consumers. Deficit-based programs, products, or policies not only rob people of agency, they also distort our view of what is possible. These distortions constrain our imagination, hampering our ability to build meaningful solutions to people’s financial lives. Techies in San Francisco should not be the only ones to reach their economic potential. The American Dream cannot be reserved for the few. Everyone in America deserves the same right, the same opportunities to see their true selves realized. This paper benefited greatly from contributions by Dr. Fred Wherry, Tara Robinson, and Loren Berlin. Renee Stepler and Anna Brown, “Statistical Portrait of Hispanics in the United States, 1980 – 2013” (Washington, DC: Pew Hispanic Center, May 12, 2015). Susan Burhouse et al., “2013 FDIC National Survey of Unbanked and Underbanked Households” (Washington, DC: FDIC, October 2014), p. 5. Kenneth Brevoort, Philipp Grimm, and Michelle Kamara, “Data Point: Credit Invisibles” (Washington, DC: Consumer Financial Protection Bureau, May 2015). Belinda Reyes et al., “Building Credit for the Underbanked: Social Lending as a Tool for Credit Improvement” (San Francisco, CA: César E. Chávez Institute, 2013). See Brandee McHale’s essay in this book on why asking this question is so important. Diana Farrell and Fiona Gregg, “Weathering Volatility: Big Data on the Financial Ups and Downs of U.S. Individuals” (New York: JPMorgan Chase Institute, May 2015). Abraham Maslow, “A Theory of Human Motivation,” Psychological Review, 50 (4) (1943): 370–96.